This weekend Russia and Ukraine edged closer to war. Many may recall the short conflict between Russian and Ukraine in 2014 which provided a short rally in pricing. In this analysis, we look at what the impact could be if this conflict was to escalate. On Sunday a Russian naval vessel opened fire on three Ukrainian vessels, detaining them and causing injury to six sailors. The incident occurred in the Kerch Strait, which is a contested area between the Azov and Black sea (see map). There is an agreement that both countries will have entry through this strait to access their respective ports on the Azov sea. However, in the past year, there have been concerns from both sides regarding inspections of vessels which have slowed down trade in this area. In early 2014, Russian back separatists fought against Ukrainian forces which resulted in Crimea being annexed by Russia (see map). This has led to a tense environment with fighting continuing albeit largely forgotten about by the rest of the world, despite estimates of 10,000 being lost in the conflict in recent years. During the initial period of the 2014 conflict, risk premiums emerged within the agricultural markets. However, when it was realized that supply chains would be largely unaffected the market fell back. The main ports on the Ukrainian side of the Azov sea are Mariupol and Berdyansk. These ports are mainly used for the export of steel and grain. The drafts at these ports limit the volume which can be exported. The quarterly exports from both ports are shown in Figure 1, with annual exports at 1.1mmt. It is important to note that that majority of Ukrainian exports are loaded on the black sea, which is not likely to be disrupted by the current tensions. On average the Azov ports load around 8% of Ukrainian wheat exports (Figure 2). The risk is limited at present, whilst the tension is restricted to the Crimea and the Kerch Strait. However, if there is an escalation of hostilities, the disruption could spread to the black sea ports. It is important to remember how vital Russia and Ukraine are to global wheat exports. In this season it is expected that Russia and Ukraine combined will contribute 30% of the global export task (Figure 3). An escalation to a full-blown conflict is highly unlikely at present and not in the best interests of either country. However, all eyes will be on Putin and Poroshenko in the coming days and weeks. The international community have expressed concerns with the Russian behaviour, however, it is unknown how much pressure the west can really exert. 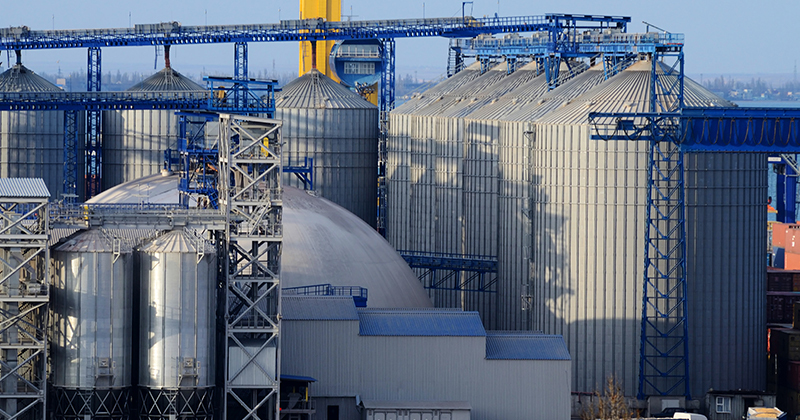 In the event of major disruption to the black sea grain trade, there is likely be very strong premiums enter the market, especially considering the reducing global exportable surplus. Russian naval vessels attacked and detained three Ukrainian vessels in the Kerch Strait. The ports likely to be impacted at in the Azov sea; Mariupol and Berdyansk. These ports load on average 8% of Ukrainian wheat exports.